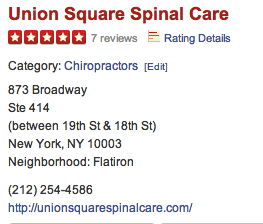 We are located in the Union Square, Flatiron, and Greenwich Village area. 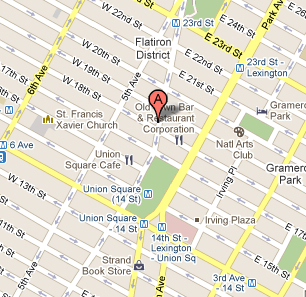 Take the 4, 5, 6, N, R, Q Trains to Union Square Station. PLEASE NOTE – We are not a member of an HMO. We are Out-Of-Network for all chiropractic benefits. More often than not, our rates are less than your required copay else where. We do this to ensure that you receive the highest quality of care possible for your individual treatment plan, where many insurance providers are in the business of making sure you receive as little healthcare as possible. With us, your health and well being come first! Our track record is simply groovy.